The tragic early death of the scholar, consultant, researcher and teacher, has elicited a series of tributes and testimonies to the life of a remarkable man. By Ananya Vajpeyi, Visiting Fellow, centre for the Study of Developing Societies, Delhi, and friend, here dedicating to his memory the April edition of Seminar. Jalal died in an accident at sea in Phuket, Thailand. He had recently been tenured at U Mass, and was spending a sabbatical year in Dhaka where he was deeply involved with the nascent processes of justice, truth and reconciliation around both the genocidal conflict of 1971, as well as subsequent military regimes that have punctuated and marred Bangladesh’s short history as a new nation and struggling democracy. Jalal was a frequent visitor to Delhi and Lahore. In his last email sent just about two weeks prior to his fatal accident, where he wrote to say he wanted to contribute to this issue and was thinking about an essay, he invited me to visit Dhaka while he was still there. In 2009-10, the Institute for Global Leadership at Tufts University’s Fletcher School ran a year-long colloquium on South Asia for about forty selected undergraduates. Jalal and I and many others acted as guest faculty, resource persons and advisors on this programme, culminating in a conference in February 2010. Experts on South Asia, some of them from the subcontinent, gathered and spoke, met with students, talked about pressing regional concerns. Some months later, at a dinner also hosted by Tufts University that I recall vividly, Jalal became the centre of a heated exchange between Pakistani and Bangladeshi scholars, with some Indians like me looking on awkwardly as we sat around a table eating Thai and Malaysian food. Those present were from Tufts and U Mass, Harvard and NYU, Delhi University and the Lahore University of Management Sciences. Jalal kept his cool as he found himself at the receiving end of apologies for atrocities committed by the Pakistan Army in 1971, congratulations for his own publications about various issues, and in general the kind of over-excited discourse where many people, at once tired and high-strung after long debate, found it difficult to maintain a line between speaking as themselves and voicing what they believed were national positions. He was impeccably graceful, even-toned, sober. I realized that evening that Jalal was seriously committed to objectivity, rigour and collegiality that rose above nationalist passions and sentimental attachments to land and language. Jalal’s expansive and unselfconscious definition of identity and affiliation showed in other ways too. He played football, like a good Bengali – but also cricket, with a wider group of South Asians in Boston. He wrote and sang left-leaning, revolutionary songs in Bangla, but also sang a lot of rock and pop numbers in English in his small, informal band that included his brother Joy and other young cousins who lived in the area. He was associated with the powerful and well-endowed South Asia Initiative at Harvard, but also with Drishtipat, an energetic artists’ and activists’ collective based in Dhaka. He wrote incessantly about the need for the restitution of democracy and law and order in Bangladesh, in fora like Huffington Post, open Democracy, Economic and Political Weekly and his own blog and twitter feed, but also trained for and participated in an 85-mile cycle marathon to raise money for medical research at the Dana Farber Cancer Institute after his mother had a brush with the dreaded illness. His interests and commitments oscillated effortlessly between the local and the global, the regional and the international, the personal and the political. Arguably this range of participation is not unusual for a young and upcoming South Asian academic, scholar and public intellectual like Jalal, whose work positioned him equally in Bangladesh and Boston, but in order to really grasp why he was special, perhaps we need more of an understanding of the trajectory of his own life and the history of his family. Dr. Muhiuddin Khan Alamgir, b. 1942, Jalal’s father, is a prominent Awami League leader, a former civil servant, an economist and planner, as well as an author and academic. He played a crucial role in reviving the Ganga Water Treaty between India and Bangladesh, and in moving settlement disputes in the Chittagong Hill Tracts towards a resolution. In 2002 and again in 2007-09, Dr. Alamgir was unlawfully imprisoned and tortured by political opponents, and during his detention, arrest warrants were also out for Jalal and his brother Joy. Jalal was unable to return home to Bangladesh for years on end. He led a campaign involving a number of US senators (including Sen. Edward Kennedy), international human rights groups, as well as pro-democracy forces within and outside Bangladesh to secure his father’s release. After he got out of jail and re-entered active politics, Dr. Alamgir came to Boston – to the same programme at Tufts mentioned above – and spoke movingly about his time in prison. He brought with him his jail diary, Notes From a Prison: Bangladesh, that was published in September 2009. The next year Jalal got married, received tenure, won a Fulbright fellowship and was able to go back to Bangladesh after a long and terrible hiatus, leaving Boston in the summer of 2011. No one could have imagined that he was never to return. The ordeal of his father’s repeated incarceration and persecution at the hands of militarist and Islamist powers in Bangladesh, and Jalal’s tireless campaign to free both his own parent and millions of his compatriots from undemocratic regimes, provide some clue as to the strength of the man’s political will, his unswerving dedication to the idea of democracy and to the establishment of the rule of law in his country. He wasn’t just a worried son, a politician’s family-member on the run in an adverse political climate, or some other kind of unhappy individual simply buffeted about by larger historical circumstances outside his control. Quietly, tenaciously, bravely, Jalal fought the good fight. 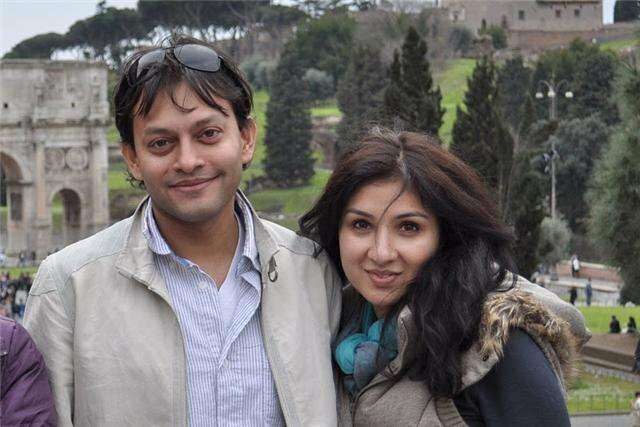 He kept writing, singing, playing sports; teaching his working class students at a poorly-funded public university with dedication and professionalism; hanging out with his friends, colleagues and fiancée (a beautiful and accomplished scientist whom he could not marry for many years for fear of endangering her parents and family back in Bangladesh while his father was being hunted). In 2008, his first book, India’s Open-Economy Policy: Globalism, Rivalry and Continuity, appeared from Routledge. It was hard to guess the awful pressure and daily uncertainty that lay behind his doggedly ‘normal’ life in Cambridge MA, where we were neighbours for four years. A lesser person would have cracked underneath the psychological strain, or at the very least lost his political bearings. Not Jalal Alamgir. At first this issue of Seminar was envisaged in a creative vein. We wanted to invite a set of people to imagine a South Asia as they would have it, in the past, present or future, with an emphasis on trying to conjure a political-social-cultural-aesthetic space away and apart from the historical vicissitudes and effects of violent nationalism, colonialism, and for India-Pakistan-Bangladesh, Partition. We sought reflection on things that people never think about, either because they are too constrained by the habit of prejudice, or because of pragmatism and realism, or because of pessimism and cynicism, or out of just plain fear. Things that are considered too ‘sensitive’ – around religious identity, around borders, around everyday life, around cultural practices that are instinctively, routinely shared but nevertheless become battlegrounds for drawing lines of difference that people then find impossible to cross. Specifically, we meant to provoke an audacious, imaginative projection of South Asia that actively militates against the pain, loss and grief of our burdened and compromised histories, that restores and heals, that allows Hindus-Muslims-Sikhs-Indians-Pakistanis-Bangladeshis or whatever other categories of people to come back into a degree of intimacy, familiarity, trust and reconciliation with one another. We tried to say: Let’s dream of a history not as a series of wounds, but as a set of limitless possibilities for flourishing, for dialogue, and for human intertwining. Let’s keep beauty before us as a value, and see what kind of world we are able to construct on that basis. We emphasized that contributors should feel liberated from the constraining parameters of history and policy, and that they ought to explore imaginative, creative, Utopian and radically future-oriented dimensions of their own thinking about the region. We anticipated that some of what emerged from this churning of the ocean might be utterly ridiculous – and so much the better! Our nation-driven geopolitical and historical predicaments are ridiculous and untenable in their own ways, as we are all more than aware. We were willing to entertain the wildest imaginings for a better South Asia – truly a country of our own. The sudden and shocking death of my friend Jalal Alamgir somehow ended for me that original project of hope and optimism before it had even taken off in earnest. But other factors changed my mind as well. For one, a surprisingly large number of those we invited wanted to write about their personal past, especially their childhood, rather than about an unknown collective future. In other words, contributors found it difficult to think outside of history, even with all of its pain and limitations. Further, it slowly dawned on me that Jalal had in his own way already been a product as well as a proponent of a different kind of South Asia. His father, whom I met a few times on his trips to Boston, was born in undivided India, raised in undivided Pakistan and has lived in Bangladesh for the greater part of his life – but a Bangladesh that sometimes seemed like his own country and at other times treated him like an alien or an enemy. Jalal himself worked on all three countries in a comparative framework, and included other regional neighbours like China and Myanmar into his field of study as well. He spoke Bengali, but had he grown up in Karachi, the city of his birth, he might have spoken Urdu or Sindhi just as well. Reflections of this ‘what if’ order led me to realize that were it not for Partition, my own parents might never have met – my mother’s Sikh family fled Lahore for Delhi in the late summer of 1947; my father’s education in Lucknow and youthful adventures in Bombay led him also to Delhi, around 1960. They both found themselves teaching at the same – at the time newly-established – college at Delhi University. An unorthodox marriage like that of my parents, two highly educated individuals from separate religious backgrounds, was very much an outcome of the broad historical processes of nationalism, decolonization and urbanization that swept across the subcontinent mid-century, dislocating families, throwing disparate communities together, and pushing women into the learned professions. Yet, as I grew up to make life-choices of my own, the very same experiences that had led to my parents’ union made them wary of my political judgment, or as they feared, the lack thereof. Partition had made so many lives possible in the first place, but it also left entire generations burdened with hostilities and resentments that one had to contend with fifty or sixty years after the founding traumas had – one might have thought – faded away. Every life, every relationship, every family, I understood, is an exercise in re-imagining who we are, where we live, and how we might be connected with one another. The effort of marking out ‘a country of our own’ – a space we may inhabit with a degree of comfort and security – is so personal, so continuous and so immense that it’s almost impossible to write about it as a theme detached from the reality of being South Asian. One person we had invited had to go away on a reporting trip in embattled parts of Pakistan, tracking a story about unmanned drones let loose over territories whose political complexity defies even the best human intelligence, what to say of mindless flying robots. Another had spent several years researching Buddhist art and images that were slowly but surely vanishing from Pakistan’s museums, archaeological sites and public consciousness, taking with them an enormous slice of not just Pakistani but also Indian and Afghan history of a time long before Islam’s appearance on the subcontinent. Yet another invitee wrote books and curated exhibitions that problematized the boundaries between Indian and Pakistani painting, photography and new media practices – but then did not stop there, going on to examine other contentious borders – between Israel and Palestine, North and South Korea, divided Ireland, divided Sudan, and the United States that is invisibly divided between indigenous and settler populations. One potential contributor is the daughter of one of South Asia’s greatest modern poets, who wrote famously and fabulously in Urdu even as Urdu, torn from Hindustani idioms and Indo-Persian culture, was becoming impoverished and desiccated in its new homeland, Pakistan. This issue of Seminar is dedicated, then, to Jalal Alamgir. He was an ethical scholar, a cherished companion, a beloved teacher, who spent his adult life not just dreaming of another South Asia, but fashioning it in the living – through conversations, friendships, travels and writings; through teaching, curiosity and research. Sometimes we spoke about Rabindranath Tagore – one of my obsessions for the past few years – and Jalal and I would try to figure out who had a greater claim on the poet – I because I am Indian, or Jalal because he spoke Tagore’s language. In the end I had to grant that Jalal knew better because he was after all musically gifted, a writer of lyrics and a composer of tunes like so many of his fellow Bengalis on both sides of the border. My love for Tagore was more ideological: his was rooted in lived culture. One afternoon in the winter of 2007, soon after I had moved to Boston, I asked Jalal for a ride back to Cambridge from our university. We walked together to the campus parking lot around 2 pm, but then we were stuck in his car in a snow-storm for the next seven hours, unable to traverse the scarce seven miles across the river to where we lived. We ran out of water, food, cell-phone charge and eventually, petrol. He said I ought to jump out and take the subway back to Harvard Square, but I didn’t think it decent to leave him alone with his car in the blinding snow for an indefinite period of time while I got myself home to safety. We talked about as many things as we could think of in that unending crawl through the blizzard. He told me that when he was a baby in Dhaka during the 1971 war, sometimes his parents and their Awami friends used him as a messenger, hiding notes in his nappy as he was sent to visit people’s houses. It was a pretty early introduction to the radical politics of Bangladesh, he said, wryly. Outside the snow fell silent and unrelenting on Massachusetts, which we were at the time calling our country. Originally from Bangladesh, Jalal Alamgir held a PhD from Brown University and was an Associate Professor of Political Science at UMass Boston. As a scholar, researcher, and teacher, he was tireless in his efforts to make the world a better place. His research interests included political violence and justice in Bangladesh and Pakistan, the foreign policy of Bangladesh, the representation of values in Indian foreign policy, and the relationship between authoritarianism and globalization in Myanmar. Aside from scholarly works, his articles appeared in The Nation, China Daily, Daily Star, Deutsche Welle Radio Global Post, Huffington Post, New York Times, Washington Post, and Voice of America. Jalal also published on political affairs in Bangladesh under the pseudonym Terrence Frazer. Jalal was a most gentle, perceptive, sensitive colleague, educator, and friend. He was a devoted teacher, creative and inspiring in his approach to making the discipline of International Relations not only understandable to our students but also pertinent to their daily concerns. He was a deeply committed researcher and scholar who never divorced questions of social justice from our understanding of power and politics and who endeavoured to make the Global South, and Asia in particular, accessible and relevant not only to world politics but also to US policy. He was a generous and gracious colleague who was able to embrace different concerns and interests while remaining committed to moving the university forward. He helped make our department an intellectually stimulating, pedagogically engaging, and emotionally nurturing space for students and faculty alike. His first book, India’s Open-Economy Policy: Globalism, Rivalry, Continuity, was selected by Asia Policy as a recommended book for its 2008 Policymaker’s Library and was nominated for the Association for Asian Studies’ Ananda Kentish Coomaraswamy Book Prize. Jalal was also a fellow at the South Asia Initiative at Harvard University and the Institute of Governance Studies, BRAC University. He held research appointments at the Watson Institute for International Studies at Brown University, the South Asian Institute at Columbia University, and the Centre for Policy Research, New Delhi. He was a member of Dristipat, a Bangladeshi human rights organization; composed and sang Bengali songs on political, social and sometimes comedic events; and last year cycled 85 miles for the Pan-Mass Challenge to raise funds for cancer research. He was also a published fiction writer, passionate soccer player, and avid cricket fan. The musical compositions featured today are among the pieces that Jalal wrote and performed. He will always be fondly remembered and missed. Bangladesh is a country marked by military coups, political violence and significant environmental and economic challenges. It is also a country of remarkable social resilience, with a vibrant youth population hungry for change and opportunities, of dynamic social entrepreneurship demonstrated by individual women and men, of a people who defy the odds and who demonstrate an enduring democratic ethos, and ultimately, a land of infinite possibilities. Professor Jalal Alamgir not only knew this, but he understood the many strains of dynamism and contradictions inside Bangladesh and analyzed them in a way few South Asian scholars have done, and perhaps even fewer Bangladeshi scholars - have attempted to do. But Jalal brought something else to the table - a freshness of perspective, a passion and love for the South Asian region, an intellectual curiosity and personal investment in its possibilities - that set him apart from many of his peers. It was exciting to see a young scholar of his brilliance and political acumen tease out the nuances and complexities of countries such as Bangladesh and Burma, to examine them from the perspective he offered, and be infected by his measured optimism about their prospects within their political borders and in the wider context of South Asia. His growing body of work as a scholar and a policy analyst held promise that countries like Bangladesh would not continue to be neglected in the discussions on South Asia and the region’s future. I look back on those opportunities of working with Jalal and the conversations we had with a lot of sorrow, realizing that the many conversations that were left to be had will never take place. I am slowly recognizing that the possibilities of working together on interests we had in common will never come to pass. In all the writings Jalal and I had left to do, I never thought that the final piece I would write regarding Jalal would be to honour his memory. Words are inadequate to express the shock and sadness of the loss of a promising intellectual and one who had so much more to offer. With Jalal’s untimely demise, I mourn not only the loss of a friend, but a colleague whose brilliance was only matched by his sense of humour, his humility and his profound sense of commitment and passion to his country and to the South Asian region. With his passing, he leaves a staggering void in the intellectual community of South Asia Studies and one that will not be easy to fill. Jalal, you are missed. In a globalised, digitised world, 'meeting' is often not a physical act. I 'virtually met' Jalal in 2007 - a time of not only greater-than-usual turmoil in Bangladesh's turbulent politics, but also one where Jalal faced tremendous personal adversity. Towards the end of 2006, Bangladesh experienced a political gridlock over the elections scheduled for January 2007. A military putsch ensued. But instead of resolving the political crisis by quickly holding a free and fair election, the army-installed regime embarked on a drive to 'clean up politics'. The generals preferred to remain behind the scene - so much so that the Economist magazine titled its report of the military intervention of 11 January 2007 'the coup that dare not speak its name'. But the actions of the ‘technocratic’ regime installed by the army - emergency decrees gagging the media and restricting assembly, arrest of politicians on a supposed anti-corruption drive, talks of a national security council - were redolent of many a military coup. Observing the events unfold in Bangladesh of early 2007, anyone familiar with the trajectory of military interventions in Asia-Africa-the Americas of the past half century would have felt apprehensive about the prospect of a generals’ election instead of a general one. Such was the circumstance when I 'met' Jalal in a fledgling Bangladeshi blogosphere. I soon came to know that the national political drama was also a very personal one for him. One of those arrested in a so-called corruption case was Dr MK Alamgir, a former minister, and Jalal's father. Indeed, the regime filed cases against Jalal and his brother, though neither had lived in Bangladesh for many years. Fortunately, the latest military intervention in Bangladesh didn't produce a prolonged period of undemocratic rule. Free and fair elections were held in December 2008. They were won by the Awami League, the party to which Dr Alamgir Senior belongs, and the one that Jalal supported in general. In general, but not in every particular. Jalal felt strongly about the practice of extrajudicial killing, which the Awami League government has continued in violation of its electoral commitment. Jalal wrote about it very early in the government's term. He wanted to write about it again, in Bangla. Difficult questions, no doubt. Jalal had an idea. He had moved to Dhaka on a sabbatical to test these ideas. Sadly, that test remains unfinished. And yet, Jalal's ideas, and beliefs, are still with us. It is up to us, his friends and comrades, to pick up where he left of. While much work remains, Jalal will remain with us through such work. Jyoti Rahman is a Bangladesh focused blogger (jrahman.wordpress.com) and a member of Drishtipat Writers’ Collective. Jalal entered my life in multiple ways – through shared scholarly interests, through a common passion for fiction and poetry, and through my awe at and admiration for his astonishing blend of pragmatism and idealism, so unusual in one as young as he. Jalal was the fire that blazed in South Asian Studies at UMass Boston – we imagined him as a central figure in the development of the track, knew that he could make students and faculty care with equal energy about Bangladesh, Sri Lanka, India, Pakistan, Burma/Myanmar. He had a star-like reputation in the Boston area South Asian Studies academic circles - a reputation that was fully justified. He was a person of complex and expansive vision – thoughtful and wise in his reading of political landscapes, courageous in the statement of his positions, and fully and impressively in command of the data to back them up. At the same time, he was a deeply sensitive person able to imagine the lives of others both similar and dissimilar to himself. He was a renaissance man, a creative writer of short stories, a person who read poetry, both as a source for emotional and spiritual inspiration and as the place to learn the craft of shaping language. He would recommend that I read certain poets - most recently he told me that I should read the work of the Palestinian poet Taha Muhammad Ali, and so I promptly went out and bought a collection of Ali’s writing. What I loved about Jalal was that he could do the international relations and political realism talk - the hard logic and rhetoric of state security and power - and also, in the very next breath, talk with incredible nuance and care about ethics, human dignity, and compassion. Early in my friendship with Jalal, he invited me to attend one of his classes on the day that he was speaking about the circumstances leading up to the creation of Bangladesh and the horrific genocide perpetrated by the soldiers of the Pakistani army. Jalal’s presentation to his students was riveting: the quiet tone in which he delivered the information and the visual images that accompanied the presentation combined to create a powerful narrative of history and memory. I later wondered why he had asked me to come to his class that day. It may have been because we had shared our thoughts a few days earlier about the Indian American writer Jhumpa Lahiri’s short story “When Mr. Pirzada Came to Dine”, in which a young girl of Indian descent growing up in the United States sees but does not understand the television images of political violence and confusion on the streets of the soon-to-be-born nation of Bangladesh, the images to which her parents and their guest Mr. Pirzada are riveted. I like to think that Jalal wanted to share with me a very special part of who he was, and to invite me into the depth of his fondness for the nation of his birth. Before he left Boston last year, Jalal told me that he was going to spend time working on his collection of short stories. He was excited! His political writing was widely known, and there is ample evidence in it of the scope of his vision and the astuteness of his analysis. But his creative writing – that was less visible - and I was delighted that he would be turning his attention to another of his passions - the writing of fiction and creative non-fiction. He had already published a few pieces, but these were not so readily available to his readers, yet they deserved to be. I imagined him in Bangladesh, moving through its cities and towns, speaking with people, collecting the material for his scholarly research, and, at the same time, absorbing the sounds and smells and sights of his journeys, and the hopes and frustrations and joys of those he met that would infuse his creative writing. Jalal could do these multiple kinds of seeing and knowing and recording and portraying - with grace, complexity, wisdom, and empathy. I was a ‘visiting scholar,’ and so I enjoyed that rare combination of thought and action that produces an utterly flexible schedule. I filled my time reading, talking, exploring, immersing, absorbing - in whatever order I felt was appropriate. I spent the morning at the library, hunched over a long table and leafing through dusty newspapers from the sixties. The peace did not last. The archive room was too warm, and before long I started to feel uncomfortable, and then annoyed. An old air-conditioner was rumbling earnestly in one of the windows. But the poor thing could not bring down the temperature. A library staff [person] soon picked a quarrel with it, turning it on and off every thirty minutes, as though the reboot would fix whatever bug was ailing it. Two hours - and I had enough. I put the old papers aside, went to another room, and sank myself down in a sofa. I picked up a glossy magazine and began to turn the pages, aimlessly, eyeing the pictures more than the news, until a half-page advertisement featuring a handsome Shahrukh Khan and a ravishing Mahima Chaudhry against a backdrop of Manhattan skyline stopped me. I sat up straight. This is perfect! What could be a better antidote to stupor than a dazzling, phantasmic Bollywood romp on the silver screen? Jalal, he was my colleague, my friend, a fellow literary enthusiast. I carry his brilliant smile inside of me and feel blessed to have known him. Jalal’s book was path-breaking in employing a social constructivist approach to a topic, India’s economic development policy, that is normally examined through the narrower and more conventional lens of political economy. He marshalled the evidence to demonstrate that India’s leaders effectively instituted neo-liberal policies, notwithstanding a culture that had strong socialist traditions in wide swathes of the country, by ‘constructing’ China as India’s chief economic rival on the global stage. Jalal explained that India’s leaders during the 1990's persuaded social elites and the public of the need for aggregate economic growth, which they presented as a foreign-policy imperative and not simply a domestic necessity in a still largely impoverished nation. 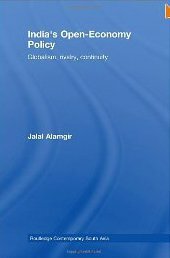 For Jalal’s tenure review, one anonymous scholar of Indian descent praised Jalal Alamgir, a Bangladeshi, for, among other virtues, presenting a well substantiated and unbiased analysis of Indian policy; the book, in short, contained no ideological axes. Jalal’s work also focused on Bangladesh and Burma/Myanmar. Jalal produced articles and chapters for edited volumes that examined the challenges of democratization in both countries. In fact, he was working on a comprehensive, sophisticated matrix containing different variables for measuring democratization, including, for example, free and fair elections and a genuinely competitive party system, in order to chart the political progress of Southeast Asian countries. Moreover, Jalal’s acute understanding of the role of the military in sustaining authoritarian regimes in Bangladesh and Burma/Myanmar was informed by his personal experience of drawing attention to the illegal imprisonment of his father, a human rights activist and critic of Bangladesh’s authoritarian regime (before its democratic elections), and mobilizing political pressure to secure his release. The ability of the Burmese government to suppress its populace was due, in no small measure, to the military’s concerted effort to keep Burma/Myranmar isolated. Currently, his father is a member of Bangladesh’s Parliament in the opposition party, at a time when Burma’s Nobel Peace-prize winning activist Aung San Suu Kyi, who was wrongfully imprisoned for her political dissent, has been engaging with government leaders. In addition to being a talented and prolific scholar, Jalal was a consultant to the United Nations, for which he produced reports on the efficacy of development projects. Here his scholarly expertise and practical experience as a risk-analysis consultant converged and made him particular sensitive to the complex variables that shape development and human welfare. Unlike some critical scholars, who view the area of business/management with deep skepticism, Jalal fervently believed in using all possible tools in illuminating a nation’s policies and their impact. But importantly, just as he injected his scholarly work with the kind of economic acumen that comes with looking at how policies ‘actually operate on the ground’, and not as an abstract model, he brought to bear his academic knowledge in his approach to programme evaluation. Tellingly, while many of his students pursue careers in international development by entering graduate programmes in international relations or global studies, some also do so through their pursuit of an MBA. As he did through his scholarship, Jalal imparted to all his students the sense that the complexity of economic and political development merits an interdisciplinary perspective that includes a grasp of business and management.